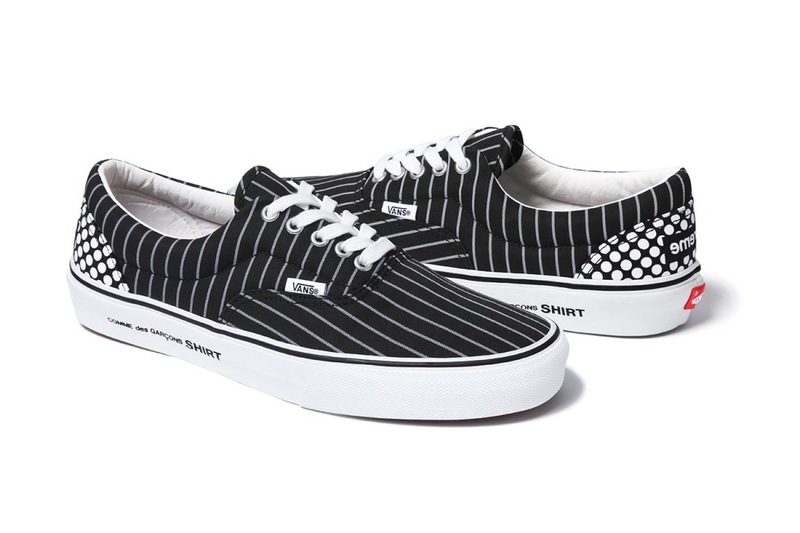 Comme des Garçons SHIRT and Supreme recently teamed to produce a special 2014 Spring/Summer Collection with Vans chiming in with a set of footwear offerings as well. 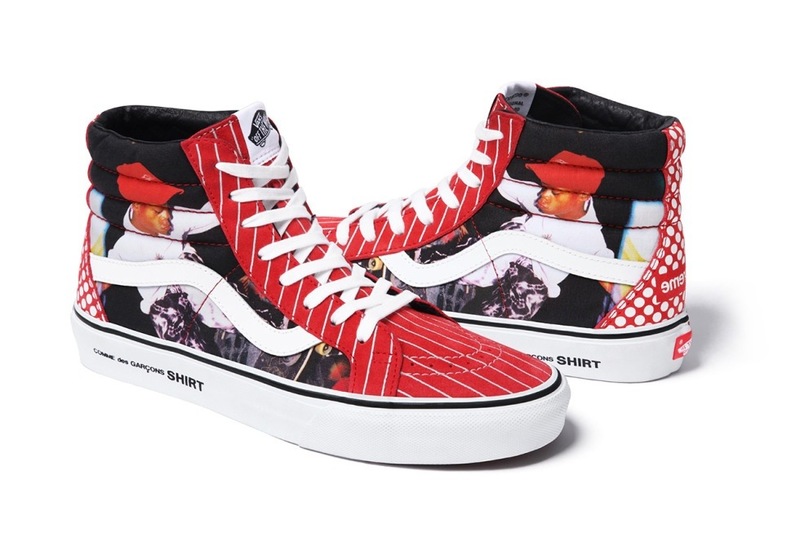 Using the same fabric Comme des Garçons used for the apparel items, Vans re-interpreted both the Sk8-Hi and the Era, incorporating the signature visual themes of the collection. 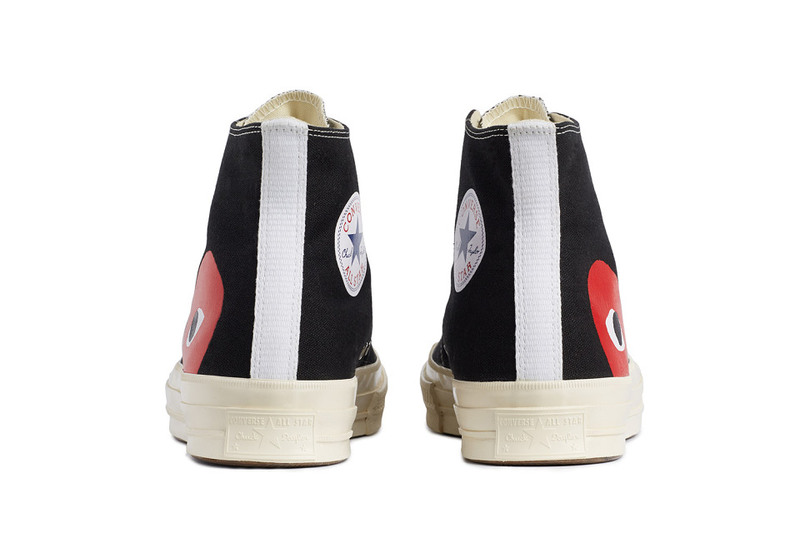 The Era, appearing in both black and red, combines both white polka dot and stripes for the upper and features the Supreme tag stamped on the heel and Comme des Garçons SHIRT printed on the white rubber outsole. 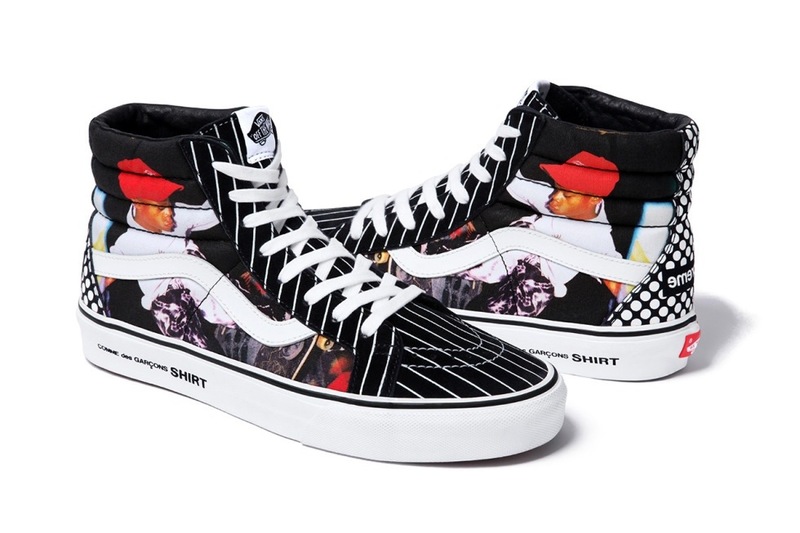 The Sk8-Hi features a similar upper while also paying a graphical tribute to late NYC skate legend Harold Hunter. 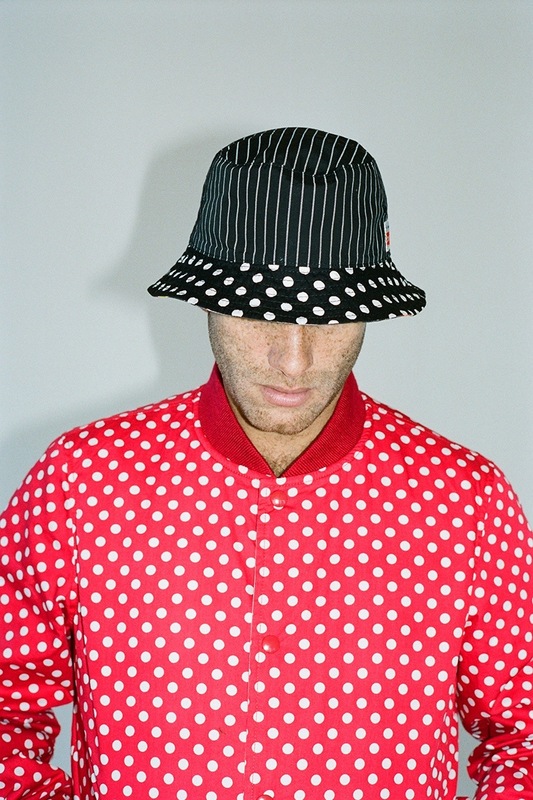 Comme des Garçons SHIRT and Supreme recently came together to present an editorial previewing their Spring/Summer 2014 collection. 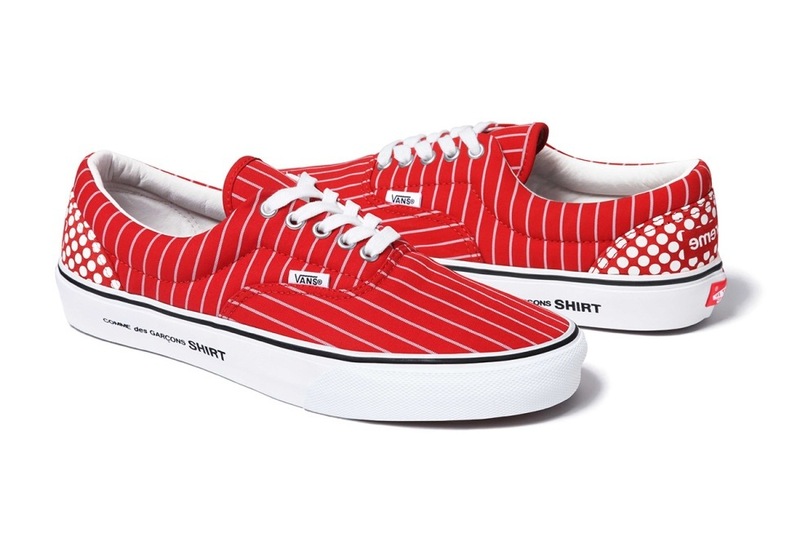 Featured patterns for the season included simple pairings of polka dot and fine stripes in red and black. 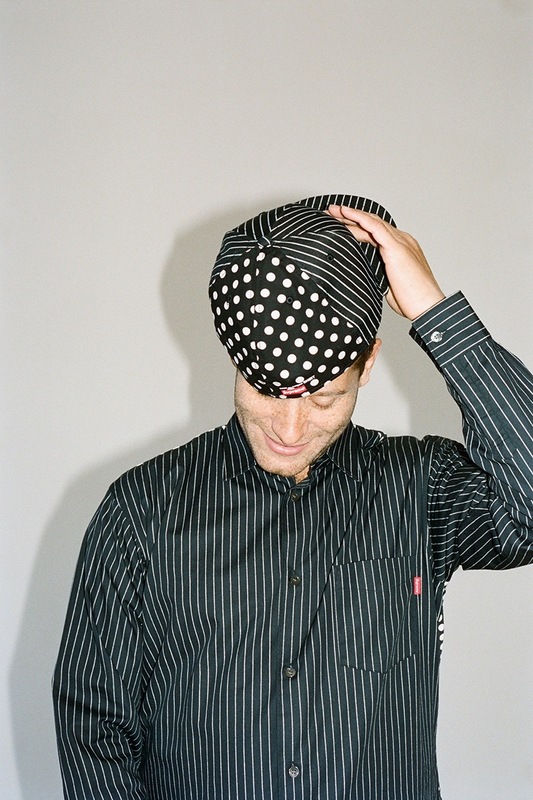 These appeared across a selection of caps and shirts, including a snap button-up with a mandarin collar. 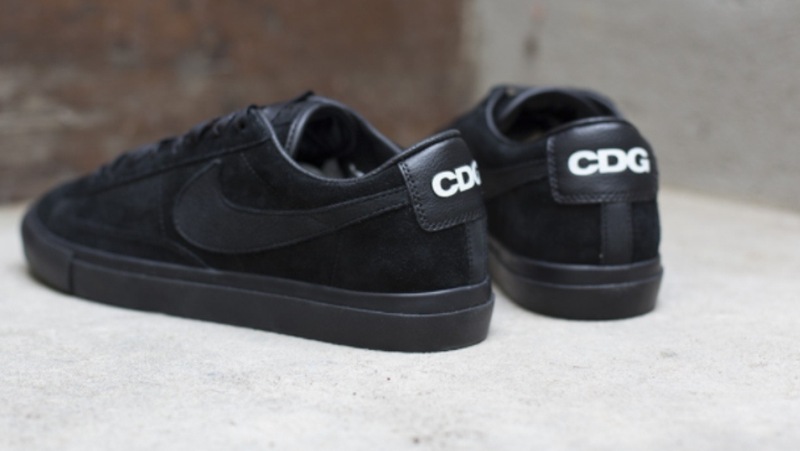 Other items of mention included both a printed graphic tee and jacket featuring NYC skateboard Harold Hunter. 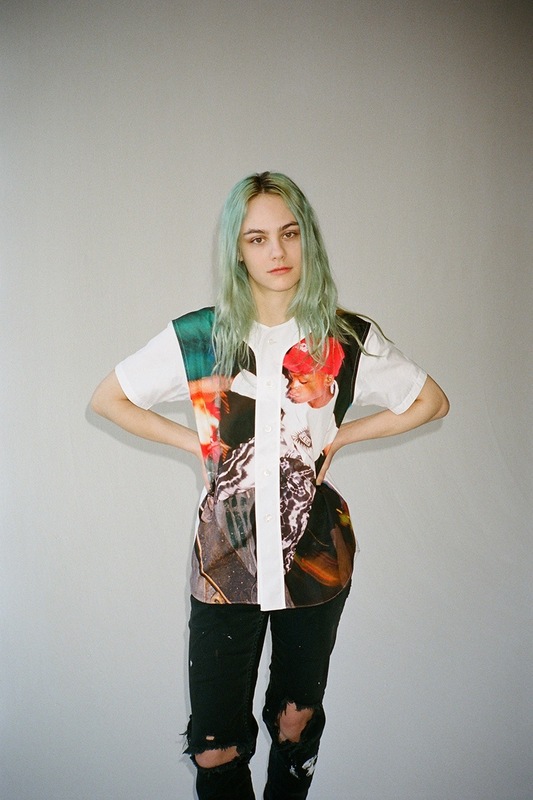 This editorial showcased the talents of models Sara Grace Powell, Aaron Bondaroff, Alex Olson and Tyshawn Jones. 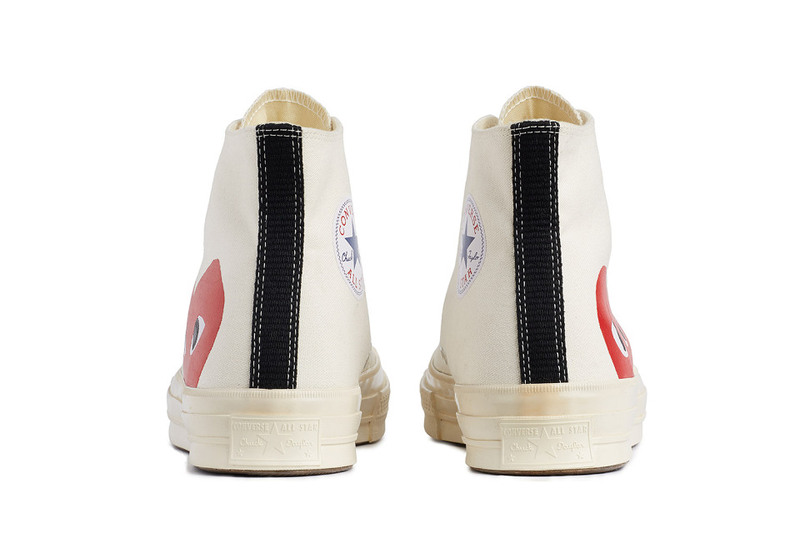 Erik Schedin‘s simple, unfussy sneakers were originally part of his 2004 final degree show at Beckmans College of Design, Stockholm. 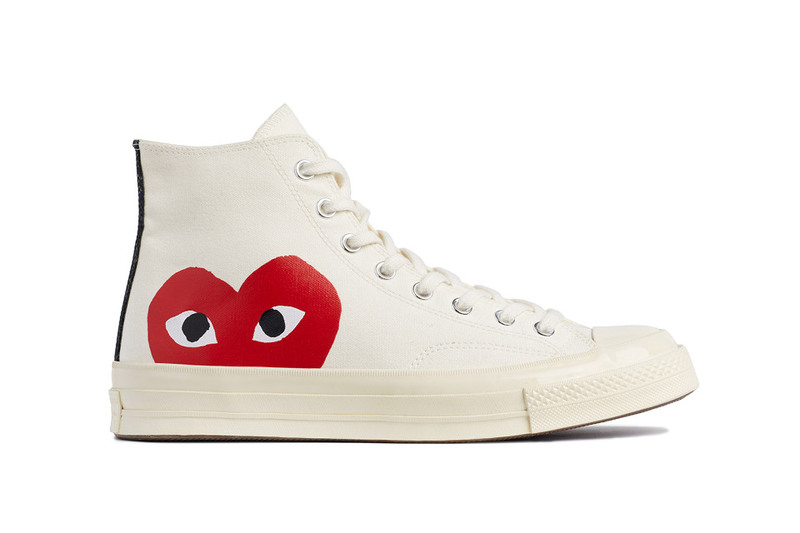 Four years later they were being stocked at the likes of Dover Street Market, Mr Mudd & Mr Gold and his own online store, a small selection of cleverly chosen goods. 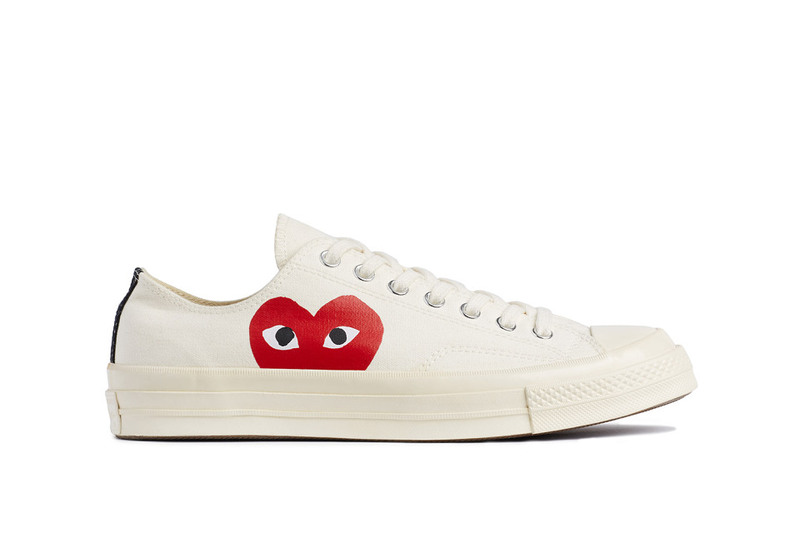 To celebrate the 10th anniversary of their release, Schedin has got together with Comme Des Garçons SHIRT for Spring 2014, taking that clean white canvas and adding three black images. 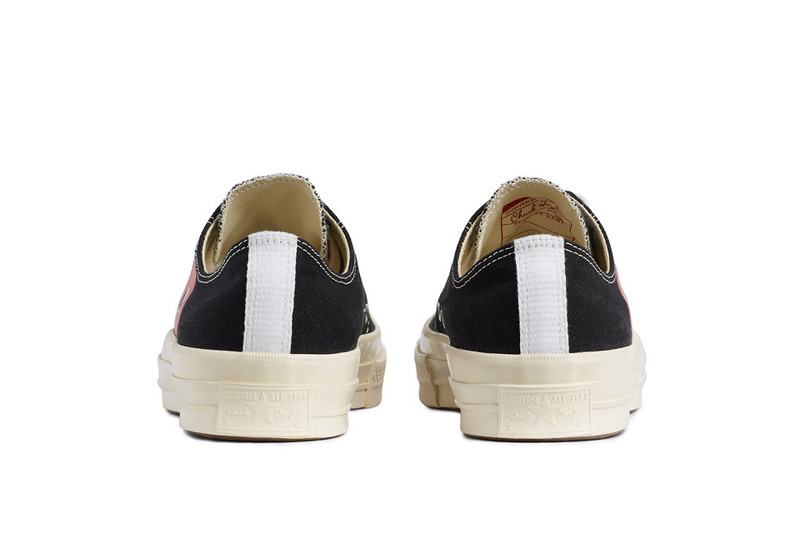 Production having moved from Vietnam to Italy, the shoes are still fitted with the same sole sourced for his early project. 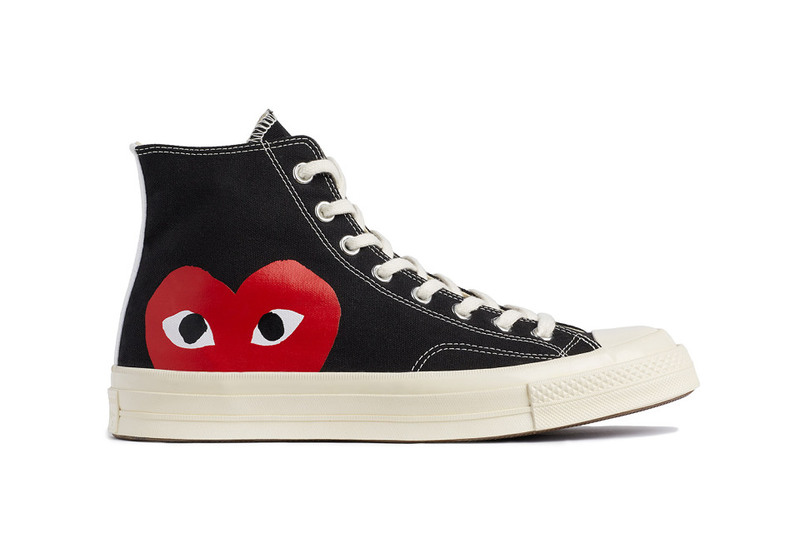 Sold exclusively at Dover Street Market, find them here. 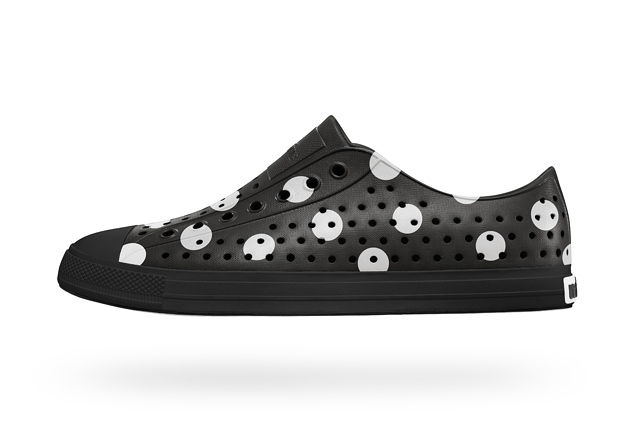 This is for me..The new collaboration between BLACK COMME des GARCONS and Nike. 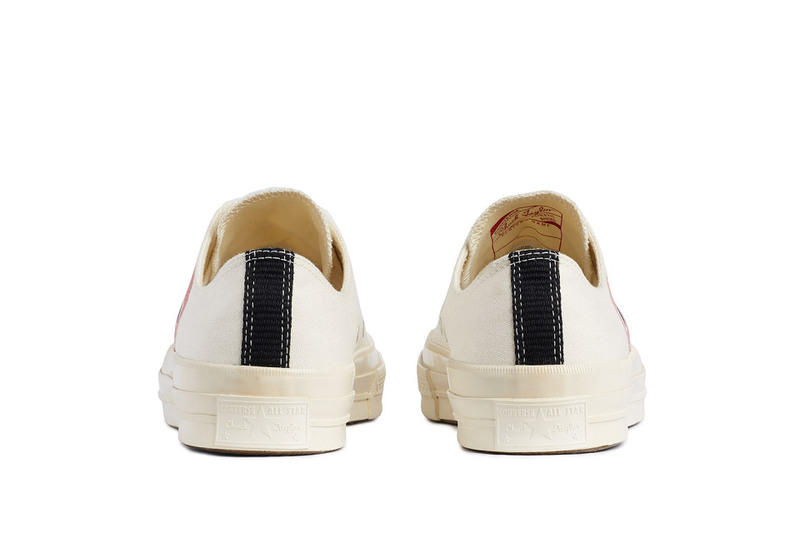 As usual the Japanese brand kept the aesthetics very clean and subtle. 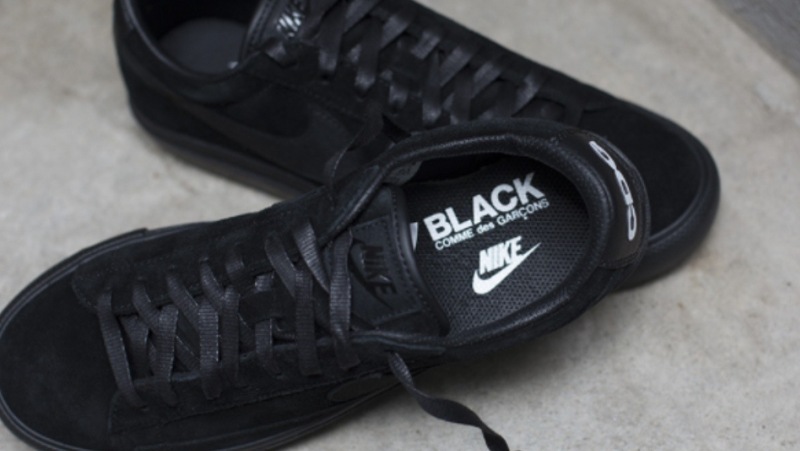 For its BLACK COMME des GARCONS line it chose to work on the Nike Blazer Low Premium. 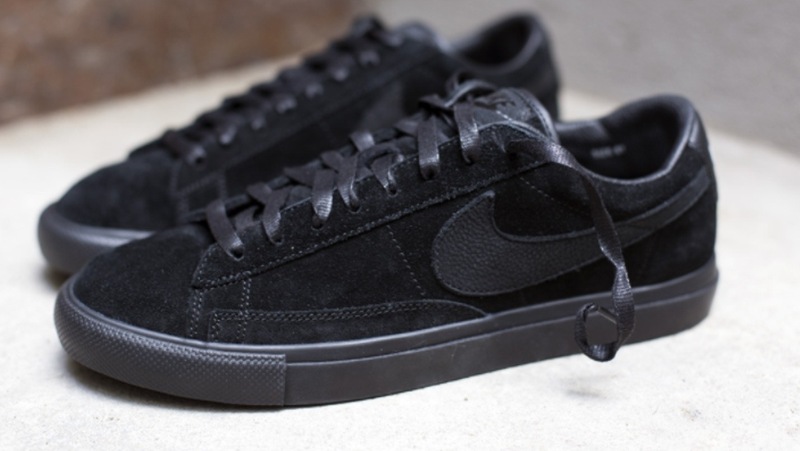 It comes in a black suede version with premium leather Swoosh, black outer sole and lining. 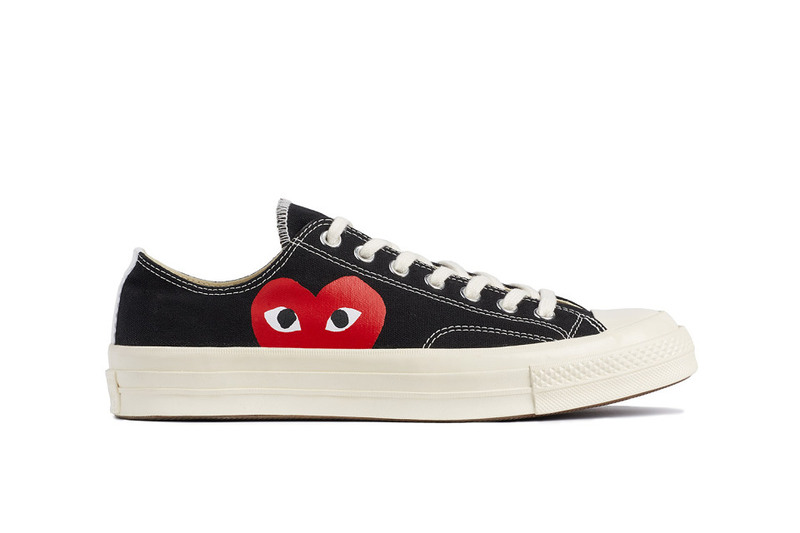 The only thing standing out is the white “CDG” logo placement on the heel. 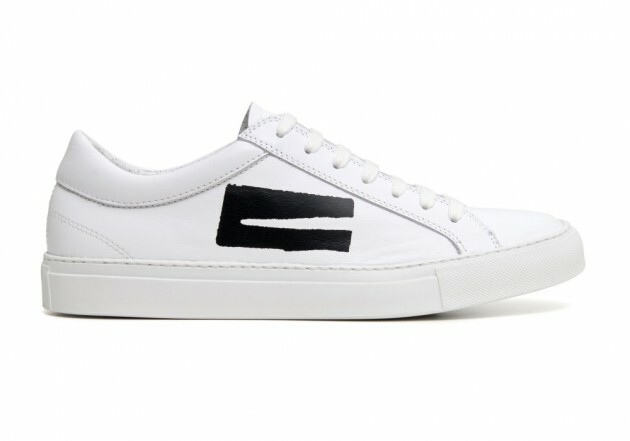 Furthermore both brand logos are featured on the black in-sole. 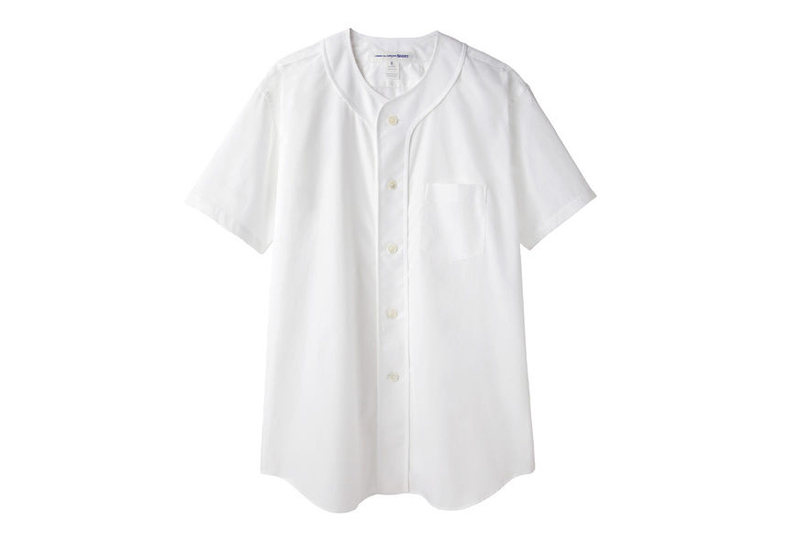 I really like this COMME des GARCONS SHIRT classic baseball shirt, its very clean & crisp…perfect for the Summer. 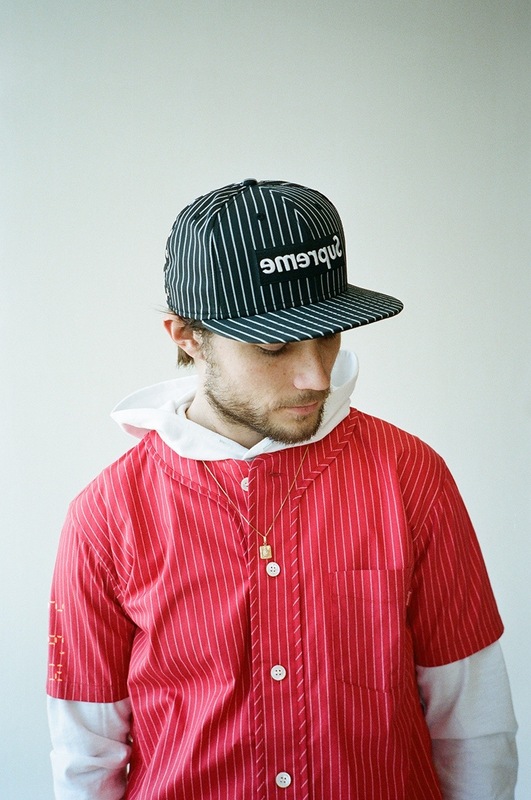 Obviously inspired by the short-sleeve jerseys worn on baseball diamonds across the world, this casual menswear take on the piece features cotton poplin construction and subtle details like pleats at the back yolk, dropped shoulders, a curved hem and a single breast pocket.